Justieno, Lewis Jones, Roger Varian, York. Sunday’s are a fantastic time for racing to showcase their product but week after week, it continues to miss the opportunity. York racecourse will undoubtedly see plenty of interest today both in terms of on-course and off course revenue as they host a decent Sunday card. Lewis Jones has found a bet to follow…. My eyes are drawn to the chances of Justieno in the BETFRED GARROWBY STAKES at York (3:00) today. Roger Varian’s string are in fine fettle as illustrated by Battersea in the big race at Ascot yesterday and this sprinter should have conditions in his favour over York’s speedy five furlong track that does suit horses that like to pour it on from the front. We though the selection was in for a profitable season in May when we steaming into him at Newmarket in the Palace House Stakes but he’s really failed to fire on a couple of occasions. This is a big drop in class from his usual level of opponents and his recent showing suggests that he should be capable of winning at the level. Varian’s charge romped clear in a Conditions Stakes at Doncaster last time out and William Buick seems to get a good tune out of him. Get on his chances with a two point win stake at 5/1. Meanwhile, there was a minor shock in the Sprint Cup at Haydock yesterday as G Force gave trainer David O’Meara one of the biggest days of his fledging career and jockey Danny Tudhope his most lucrative pot of his career. The Middleham Park-owned speedster, bought out of Richard Hannon snr’s stable for 25,000gns, provided his trainer with a first domestic Group 1 and jockey with a maiden top-flight success in the world. The race brought the end of the winning streak of Sole Power, who finished fourth as he couldn’t quite be as effective over six furlongs as he is over five. It was the winner’s first try at six furlongs and he adapted to his new distance with real class, pulling clear in the closing stages of Irish raider Gordon Lord Byron. 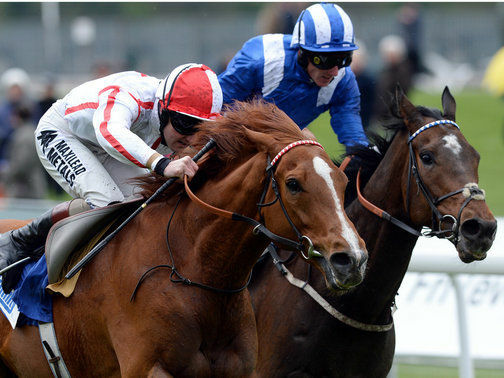 Next stop could be the Prix de l’Abbaye, where he has been backed overnight at 7/1.